Remember, it's about transformation, not tweaks. And software development is at the heart of it. Industry Week recently reported that two-thirds of the top 2000 Global CEOs will have digital transformation at the core of their corporate strategy by the end of 2017. 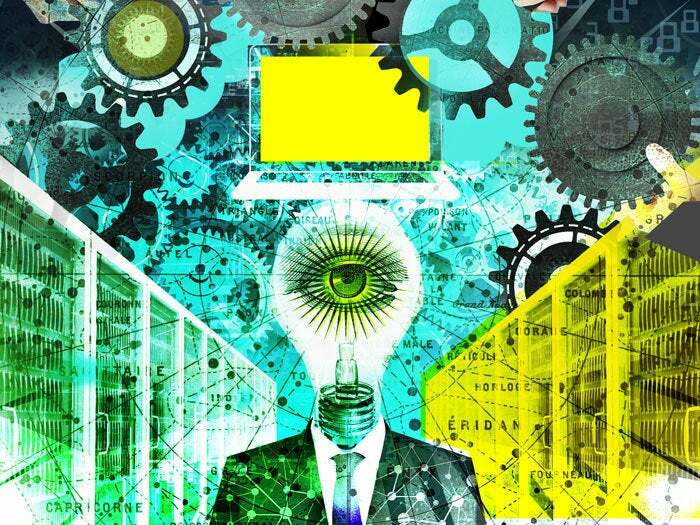 More ominous, Gartner predicted at this year’s annual Data Center Infrastructure and Operations Conference, that enterprises risk falling behind their competition, unless they implement digital transformation projects in 2018. Companies who pursue digital transformation cannot be satisfied with initiatives that are incremental improvements to the current status quo. CIO’s must critically evaluate their technology portfolio and the processes which are currently inherent to the business model – automated or otherwise. Data and automation silos within the enterprise must be viewed with a new level of loathing, and an assassin-like mindset to eliminate them. The entire organization must be open to serving the customer with a new level of speed, convenience and personalization at all possible touch-points. The search for true digital transformation within your enterprise can be focused through the lens of seeking DISRUPTIVE opportunities. By definition, “disruption” means halting a previous trajectory…a fundamental change in path occurs. The goal of digital transformation is really quite simple – to win in the marketplace by raising the bar or (even more appropriate) changing the ground rules of what it takes to be truly competitive. Unfortunately, for a company already entrenched in an industry, the “push to transform” often comes from new, hungry competitors in the marketplace who seek to steal market share – or even expand the definition of the market. Within an enterprise – there are three layers of transformation. Each layer has its own opportunities for disruption. We all know how Uber, Lyft, VRBO and Airbnb have disrupted their markets. Now, hotels and taxi companies are forced to transform their offerings, just to stay competitive. Suddenly, taxi companies are creating mobile apps to book rides so they’re not irrelevant in the new business model. Even more disruptive is changing your product completely. If Uber and Lyft eliminate the need to own a car, then what’s a car company to do? One idea the automobile industry is looking at is to give away cars and charge for insurance. All the sensors on a car are able to monitor driving behavior and rate the driver more accurately than present statistical approaches by zip code, which is used by insurance companies. The next layer down in digital transformation is enhancing your market presence with apps to interact with customers. You’re seeking brand awareness, brand loyalty and brand preference. In his book “Content, Inc.” John Pulizzi describes the necessary transformation of digital marketing content to transcend the traditional position of “online brochureware” to a place of high value to consumers, leading to brand preference. But transforming market presence goes beyond this, use of applications to change the way your core products and services are used. Two of our favorite examples are in a very traditional business – the laundromat. Brainwash Café and Laundromat in San Francisco installed Nest camera feeds so you can see if the laundromat is busy, before you decide to come by. Even better is Laundré (same business, same city). They’ll text you when your laundry is ready for pickup. They’ve even eliminated the need to collect quarters for the machines, because at Laundre’ you can use credit cards and Apple Pay. The lowest level is internal transformation - using software to improve your internal processes. Referring back to our disruptors in the laundromat space, Laundré also implemented software as part of their internal transformation. They’re able to track peak hours of usage, thereby determining when staff is needed on-site, tracking machine maintenance schedules, and determining reorder points for consumables like soap. This internal transformation has driven down costs and improved the customer experience of a previously onerous task – doing your laundry at a public laundromat. Washers and friendly staff are available when you need them…as are the lattes and scones! Underlying these digital transformations is software development. But how can a laundromat attract the software developer it needs? Can they attract talent they need, when competing against large and small companies across multiple other industries? Not likely. Assuming a laundromat company can afford a full-time software developer, should they have one? Probably not. Even a large car company can struggle to hire enough innovative developers compared to the traditional systems-level developers they are used to hiring. The answer is outsourcing to a software development company with the expertise needed. Being a “digital disrupter” requires that a company access all capabilities at their disposal to achieve the desired transformation. Let’s remember – Uber and AirBNB have revenues of billions of dollars – without owning a single car or hotel. Leveraging the talent, expertise, and experience of a company in the business of software development just makes sense…it's a marriage of the outsourcing companies capability and your business’ digital transformation opportunity.